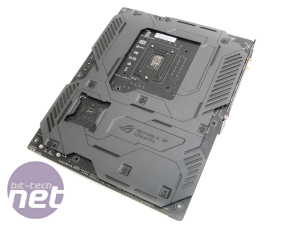 While some ROG boards have been demoted somewhat to the ROG Strix range, the premium end of things in the die-hard ROG fold is still busy with boards. Two more have joined the fold - the Apex and Code, which add some flare in different departments as well as undercutting the Formula by a fair amount too. 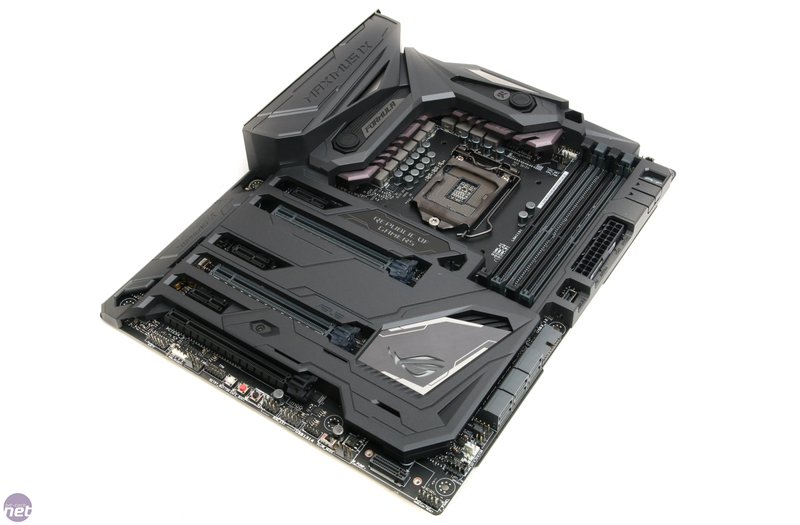 At the pinnacle, there's the Extreme, with its amazing water block and equally eye-popping price tag. So where does the Formula fit in? 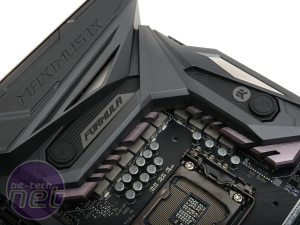 In short, the place it always has - in systems that will be water-cooled, tweaked, tuned, overclocked, and also demand a certain aesthetic prowess from their hardware too. The good news is that the new Formula delivers in droves, for the most part. The bad news is that you'll be paying over £300 for the privilege. 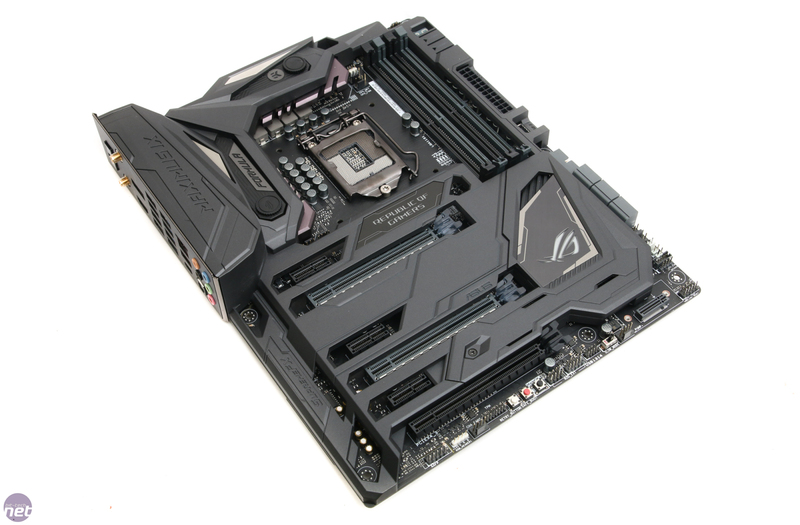 There's a lot of plastic on show, but honestly, in person, the board looks fantastic. 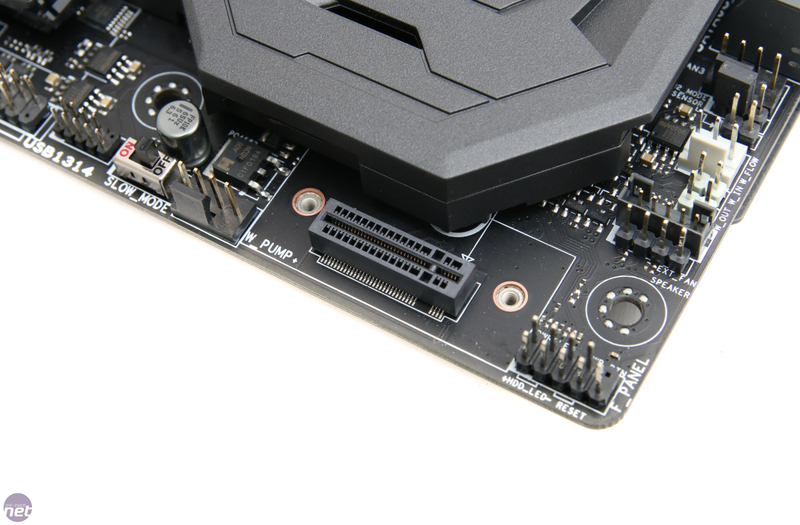 It has a chunky, weighty feel, and there's a feeling of integration from the water block through to the I/O shield, onboard buttons, and shrouds. 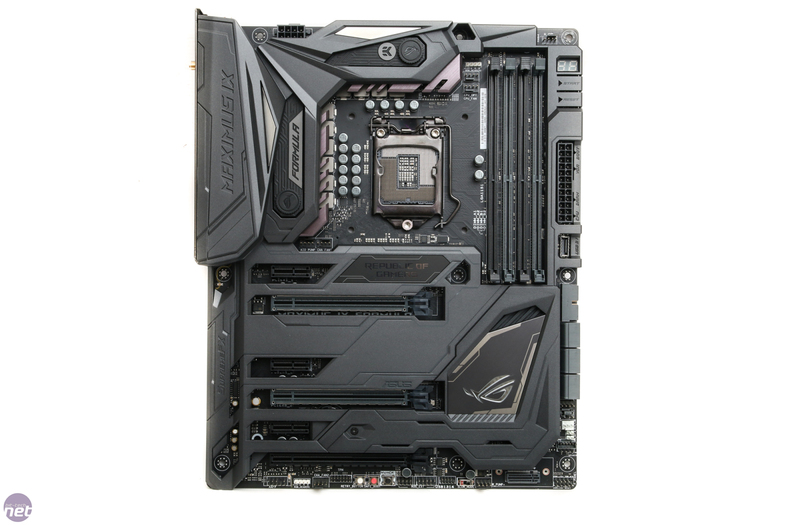 It's a pleasing design, and there's some function to it as well. 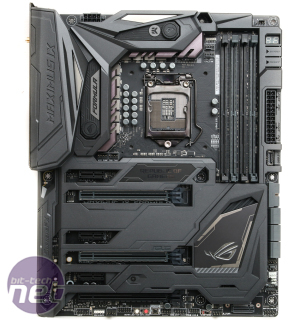 It's a shame you have to spend so much to get useful tools such as power, reset, and CMOS clear switches these days - they used to be found at £130, even with Z170 boards, but now you need to spend close to double this. 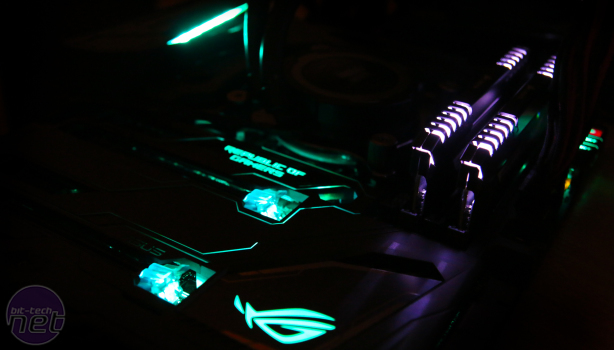 Thankfully, they're all present with the Formula, which offers overlaid buttons that are attached to the shroud too, all being illuminated by the extensive RGB LED lighting. 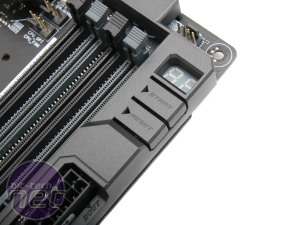 You obviously get an LED POST code display here as well, plus the CMOS clear button is located on the rear I/O panel. 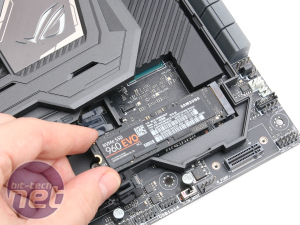 Asus has worked again with EKWB to create a water block for the CPU power circuitry, and this has been neatly sandwiched between the heatsinks (you don't have to water-cool it, even when overclocking) and the plastic shroud. 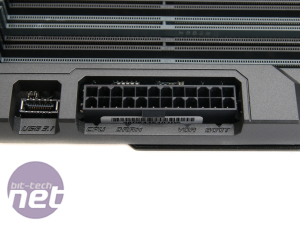 As you'd expect, this uses G1/4in ports so will work with modern water cooling fittings. It's a nice touch, as separate blocks can cost between £50-100. 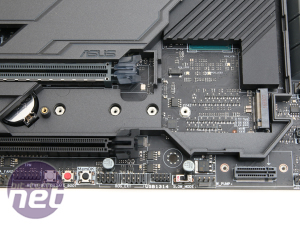 The board is bristling with connectors and ports, including two RGB LED headers, a plethora of extreme overclocking tools such as additional voltage supplies, ad LN2 slow mode, a vertical M.2 port, and masses of fan headers, including a dedicated AIO pump header and two CPU fan headers. 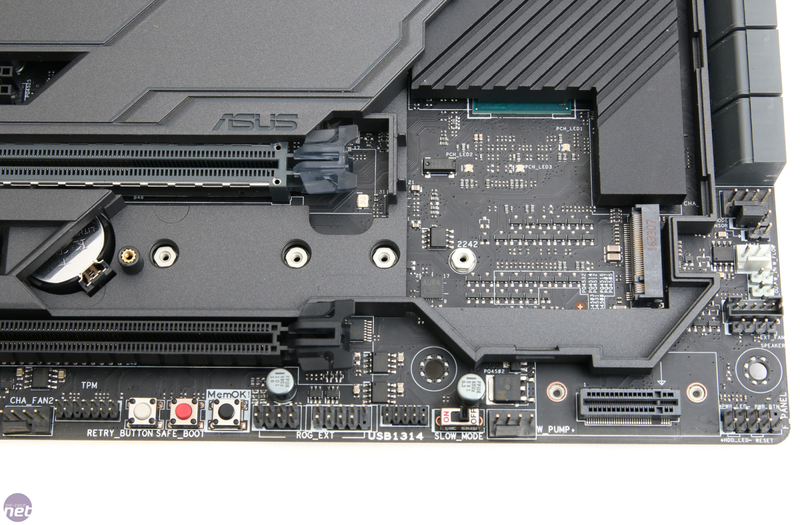 Asus is unique in offering a USB 3.1 front panel header as well as the usual USB 3.0 header, which sits at right angles to the PCB, as do the six SATA 6Gbps ports. 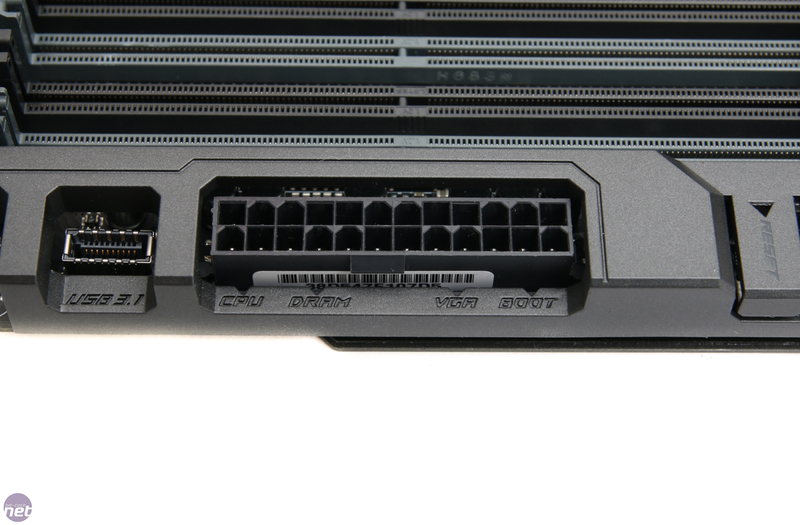 There are no extra SATA controllers, though, but thankfully, you do also get two M.2 ports - we'd imagine this would be enough for most people. 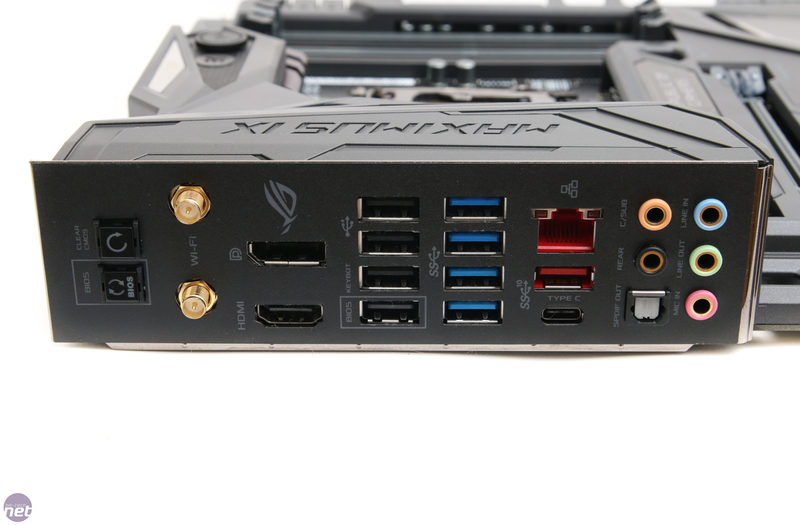 We're not too fired up about Asus's implementation of M.2 ports here, though. 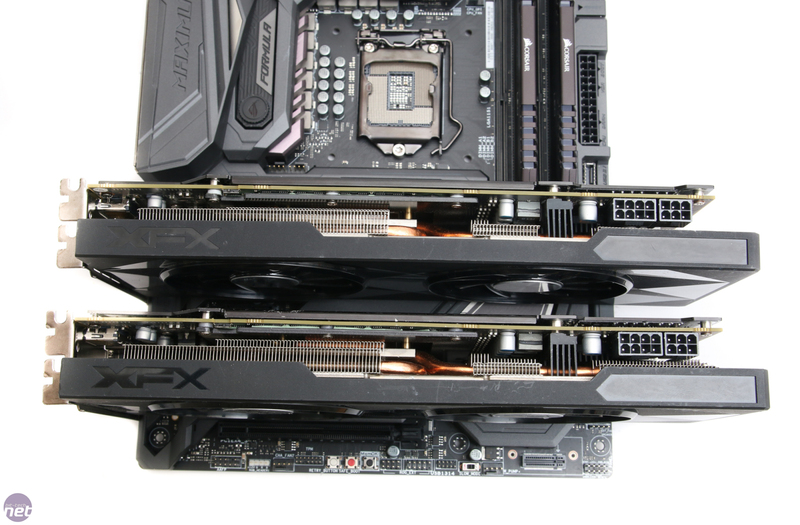 One is vertically mounted, which just looks hideous, while the other sits under a plastic shroud beneath the PCH heatsink. 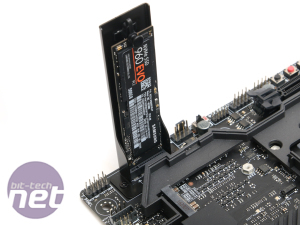 This can't be ideal for cooling, and we'd much rather have seen some sort of heatsink arrangement here like MSI has employed, making use of the latest SSDs that have all their hardware stacked on one side like Samsung's 960 Evo. 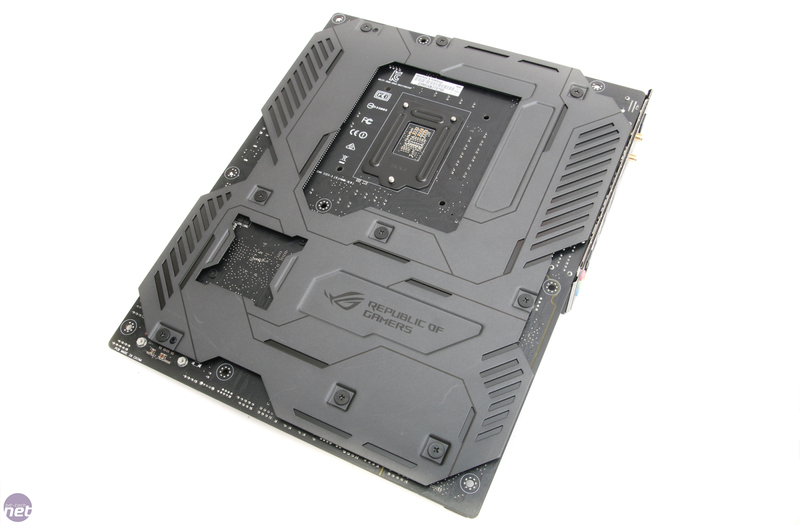 Even Asus's own mini-ITX ROG Strix Z270i Gaming has one. 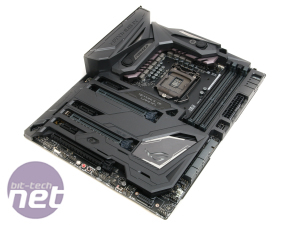 It would just add a bit of pizazz, which is what you expect from a £320 motherboard. 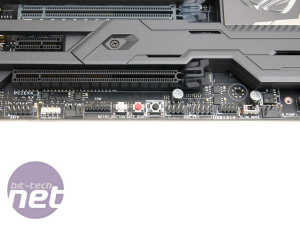 If you're gunning for a multi-GPU setup, then there's plenty of scope for going air-cooled or water-cooled, with plenty of space between our two backplate-equipped GPUs. 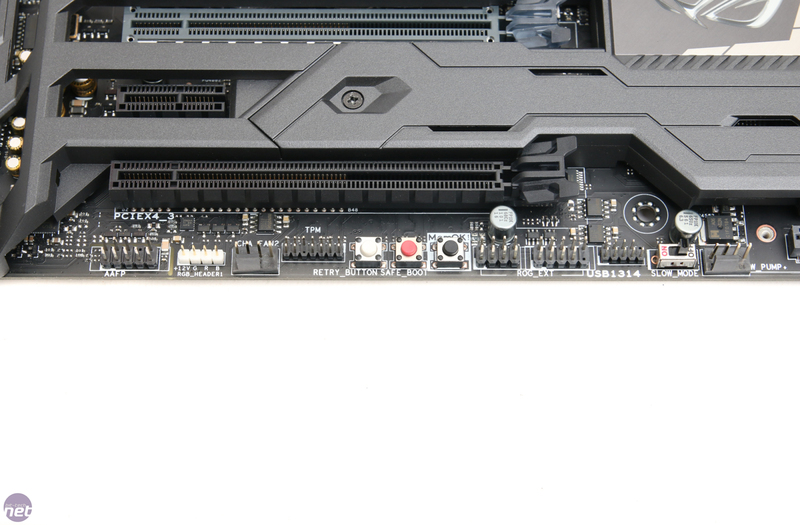 While this obstructs most of the ports, there is one of the three included 1x PCI-E slots accessible above the primary 16x slot. 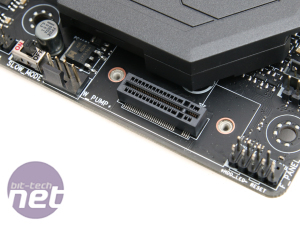 That said, you do get the ROG SupremeFX S1220 audio codec, ESS Sabre Hi-Fi ES9023, and Texas Instruments RC4850 op-amp, so the Formula isn't short of audio prowess if you were considering a discrete sound card. 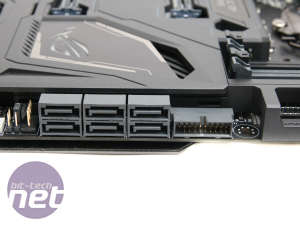 It's just one of numerous tweaks the Formula offers over and above Asus's standard boards. 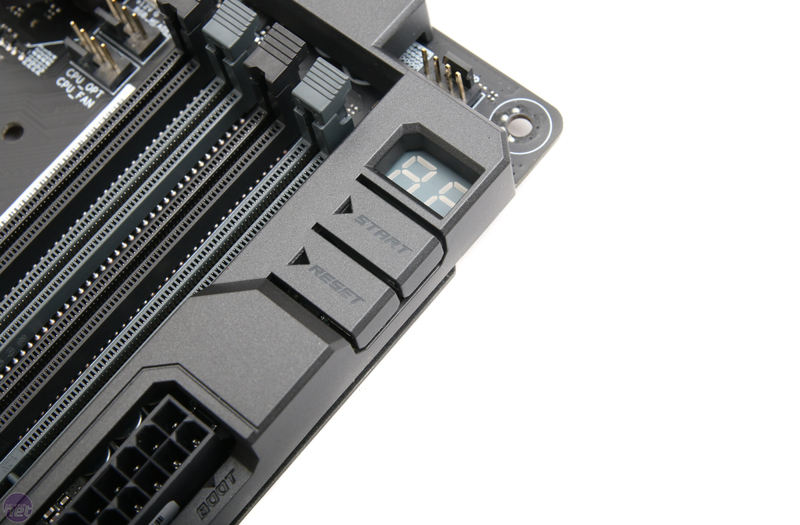 You get other features too, such as water-cooling temperature and flow rate meter headers. Asus offers 3D printing support for all its motherboards with many cable covers and shrouds available for specific models. 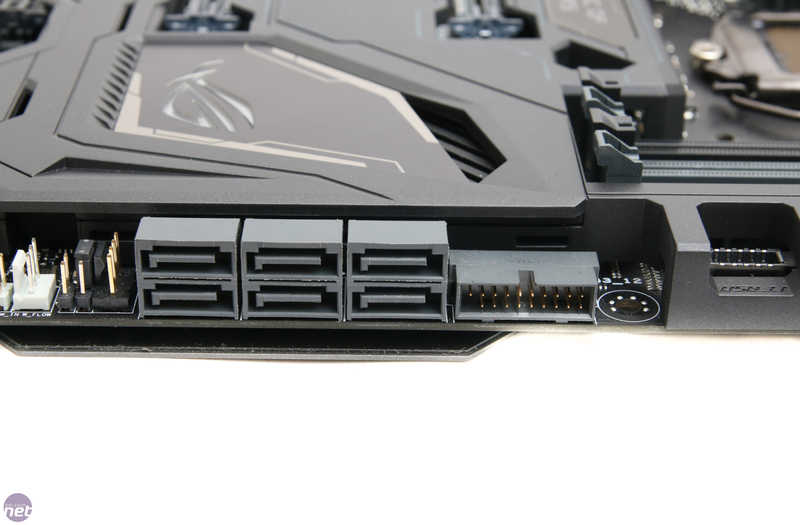 However, as the Formula includes most of the shroud-based components, it's mostly superficial items that can be used and nothing that attaches directly to the Formula that we found, unlike boards such as the Hero that have cable covers and the like. 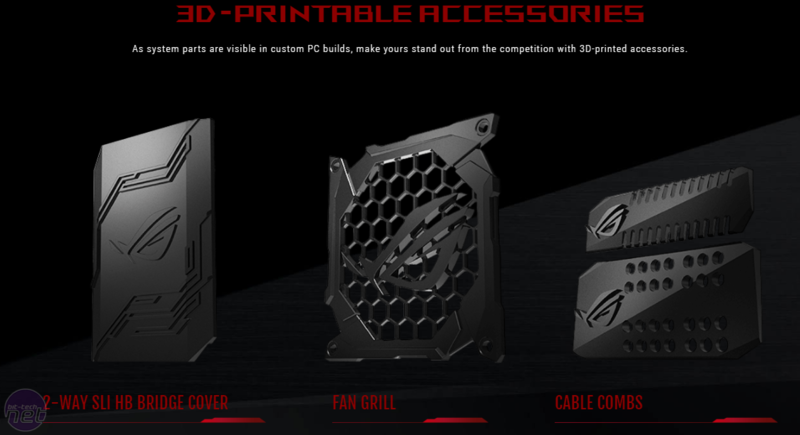 You can see the list of ROG-branded 3D files here. 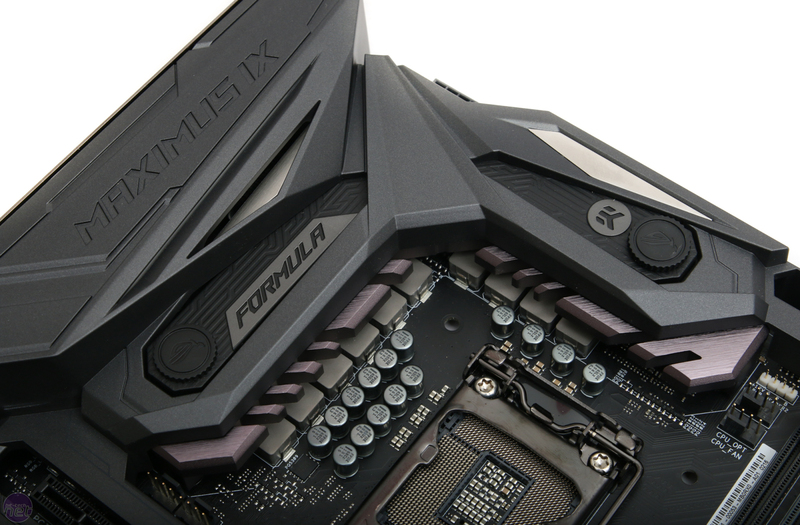 The rear panel is inspired by the Rampage V Edition 10 with its shield-less design, which your fingers will love you for. 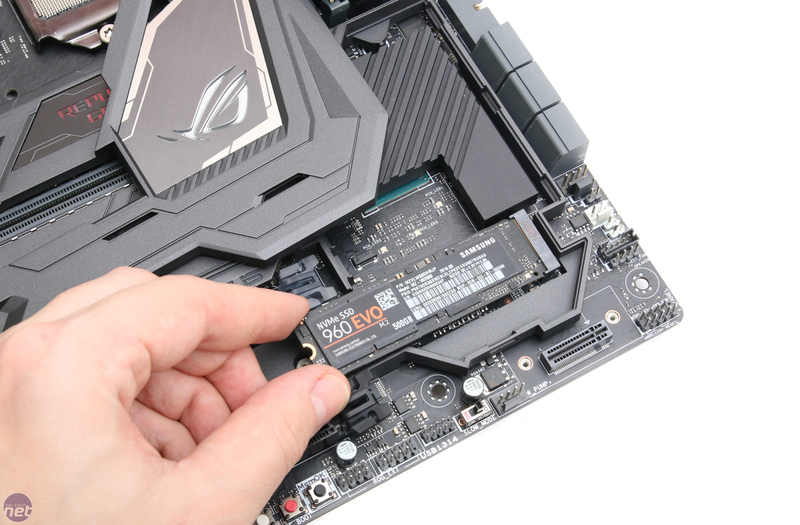 Here, you get USB BIOS Flashback - absent from many cheaper Asus boards, the CMOS clear button, a generous helping of USB ports - nine in total, with four of these being USB 3.0 plus one USB 3.1 Type-A and a USB 3.1 Type-C too. 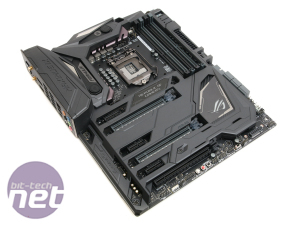 The onboard lighting isn't as in-your-face as Gigabyte's Aorus Z270X-Gaming 7 but spruces up the I/O shroud, mid-board, PCI-E slots, PCH heatsink, and control buttons, which can all be tweaked in the full RGB spectrum with lighting effects in the software or EFI. 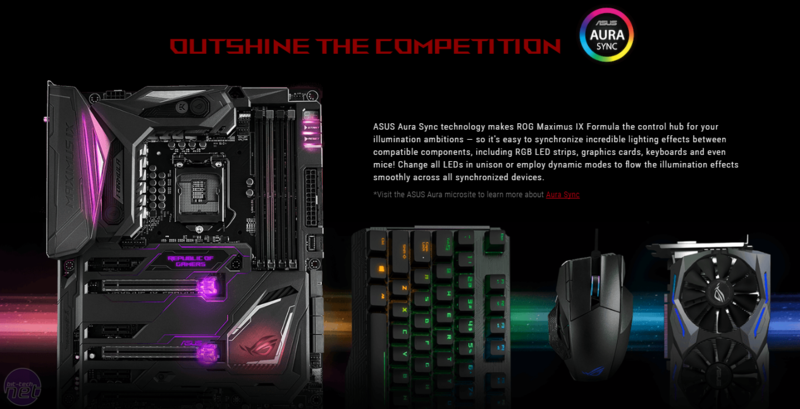 Being Aura Sync compatible, the Formula is able to match the lighting effects and colours with any other Asus Aura products you might own such as mice, keyboards, or graphics cards, with the latter looking particularly nifty when hooked up to the Formula. 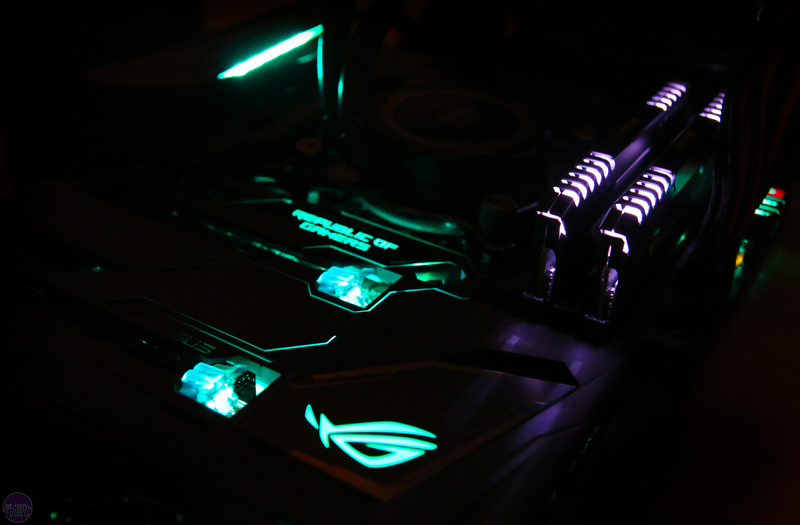 Of course, if all this RGB lighting malarky isn't your thing, you can just turn it off.